The Liaison Group is made up of high-profile members of organisations and coalitions of DL and interoperability stakeholders chartered with evaluating the outcomes of the DL.org six thematic Working Groups, offering their own perspectives and helping shape the final outcomes of the project. Tobias Blanke is Research Fellow for the Arts and Humanities eScience Support Centre (AHeSSC) at King's College London. His main interests are in the development and research of digital libraries and infrastructures for research, particularly in the arts and humanities. He is secretary of the Humanities, Arts and Social Science Community Group (HASS-CG) of the Open Grid Forum (OGF) and Co-Theme Leader for the e-Science in the Arts and Humanities Theme at the e-Science Institute in Edinburgh. He leads CeRch's technical architecture work package for DARIAH, a European ESFRI project to create an integrated research infrastructure for arts, humanities and cultural heritage data and is also Co-Investigator on the EPSRC network DReSNet which is hosted at CeRch. Peter Brantley is the Director of Access for the Internet Archive, where he is involved in establishing an infrastructure for finding and accessing books on the web with open standards. Previously he served as the Executive Director for the Digital Library Federation (DLF), a not-for-profit international association of large research and government libraries and allied institutions. He is a regular contributor to the O'Reilly Tools of Change for Publishing weblog, and serves on the program committee for the O'Reilly Tools of Change for Publishing Conference. Peter is a member of the Board of Directors for the International Digital Publishing Forum (IDPF), the trade and standards association for the digital publishing industry. Schubert Foo is Professor and Associate Dean, College of Humanities, Arts and Social Sciences, Nanyang Technological University, Singapore. His research interests lie in the areas of multimedia technology, Internet technology, multilingual information retrieval, digital libraries and knowledge management, including metadata schema interoperability and reuse for developing virtual online exhibitions drawn from digital archives. 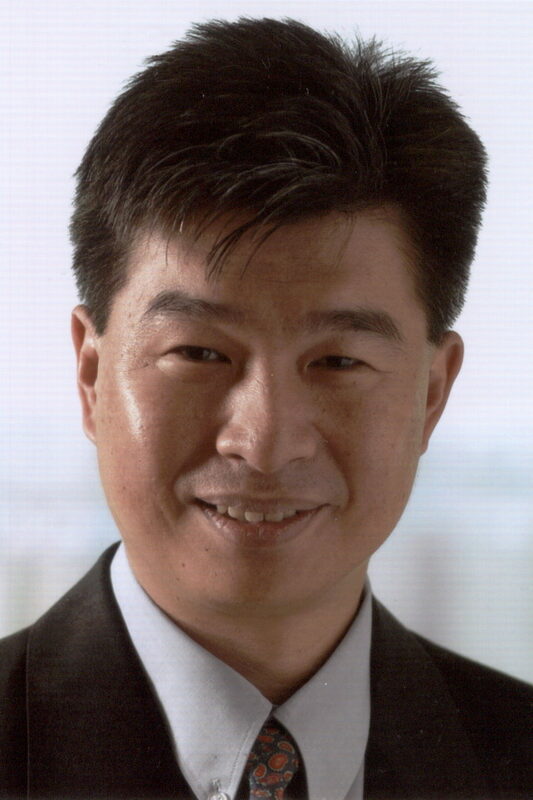 He is a member of the Oversight Committee of the Dublin Core Metadata Initiative, a board member of the Singapore National Library Board, and an advisor to the National Archives of Singapore Board. He has served as steering, organizing and program committee member for major DL conferences in U.S.(JCDL), Europe (ECDL) and Asia-Pacific (ICADL). Jane Hunter is a Professor in the School of Information Technology and Electrical Engineering at the University of Queensland, Australia. She is also the Director of the eResearch Lab where she leads a team of researchers who are developing information management, semantic integration, preservation and scholarly communication services for cross-disciplinary projects in the humanities, social sciences, bio-medical, materials and environmental sciences. She is currently a member of: the National eResearch Architecture Taskforce (NEAT); Academy of Sciences Committee for Data in Science; and the International Advisory Committee of the Open Archives Initiative - Object Reuse and Exchange (OAI-ORE). Leonid Kalinichenko is a Head of the Laboratory for Compositional Information Systems Development Methods at the Institute of Informatics Problems of the Russian Academy of Science, Moscow, Professor at the Moscow State University. He has published eight books and about 200 papers. He is a member of the ACM, the Chair of the Moscow ACM SIGMOD Chapter, the Chair of the Steering Committee of the East European Conference "Advances in Databases and Information Systems" (ADBIS), the Chair of the Steering Committee of the Russian Conference on Digital Libraries (RCDL), a member of the IEEE-TCDL Executive Board, a member of TC5 IFIP WG on Enterprise Interoperability. Recently he acted as the leader of several projects investigated methods, languages and architectures for heterogeneous information resources interoperability and integration through mediation, specific infrastructures based on the mediation concepts for virtual observatories supporting problem solving over a set of heterogeneous distributed information resources. Dean B. Krafft is the Chief Technology Strategist for the Cornell University Library, focusing on the development of a long-term vision for the Library's technology future. 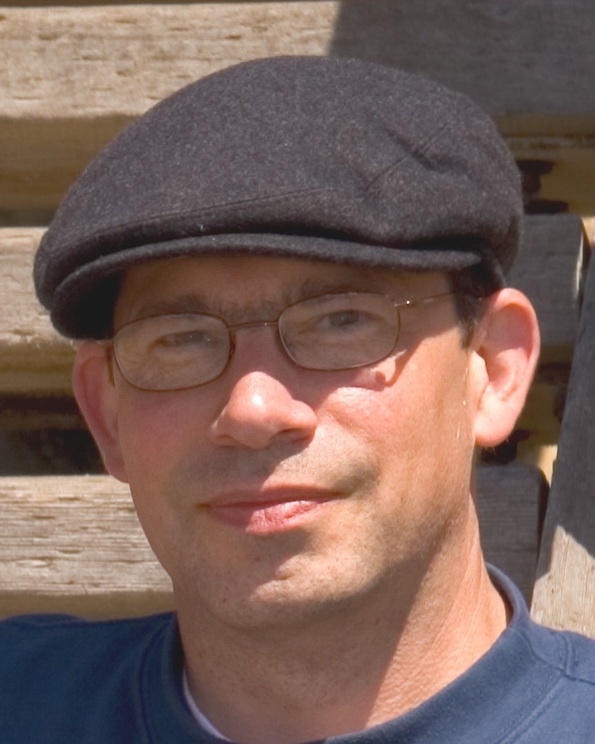 From 2005-2008, he was the Principal Investigator for Technical Network Services for the National Science Digital Library (NSDL.org), leading the development of NCore, an open-source digital library platform based on Fedora. Dr. Krafft has been involved in digital library research since 1993, and he previously served as Principal Investigator overseeing Cornell's work in developing NCSTRL and the Dienst protocol for digital library interoperability. 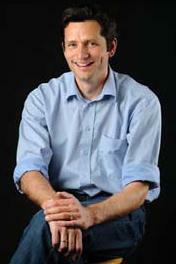 Carl Lagoze is a senior researcher in the Information Science Program at Cornell University. His research and teaching focuses on information on the web. His best-known work has been interoperability in networked information systems, in particular in digital libraries. Along with Herbert Van de Sompel, he co-directs the Open Archives Initiative, the locus of work on both the Protocol for Metadata Harvesting (OAI-PMH) and Object Reuse and Exchange (OAI-ORE). However, he is also interested in networking phenomena above the technical layer. This includes investigating the intersection of bibliographic activity and social activity, as these two increasingly intersect in web space. One context in which this intersection is particularly interesting is scholarly communication, and his current work investigates the coincidence of data-driven scholarship and networked knowledge communities. Ronald L. Larsen is a professor and dean of the School of Information Sciences (SIS) at the University of Pittsburgh. He has led a number of studies for the National Science Foundation, helping to develop research priorities in digital libraries and information management. 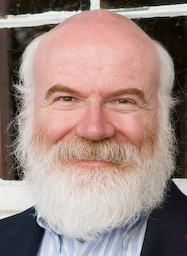 During the late 1990’s, Ron was the assistant director of the Information Technology Office at the Defense Advanced Research Projects Agency (DARPA), where he led research programs in digital libraries, information management, and cross-lingual information utilization, with particular emphases on interoperability and the development of performance metrics for large scale distributed information systems. Joan K. Lippincott is the Associate Executive Director of the Coalition for Networked Information (CNI). CNI, jointly sponsored by the Association of Research Libraries and Educause, includes about 200 member organizations concerned with the use of information technology and networked information to enhance scholarship and intellectual productivity. Joan's active professional life includes membership in the Steering Committee of the Networked Digital Library of Theses and Dissertations, service on the board of the National Initiative for a Networked Cultural Heritage, work as founding chair and member of the Association of College and Research Libraries New Directions in Teaching and Learning Discussion Group, and membership in the American Library Association. 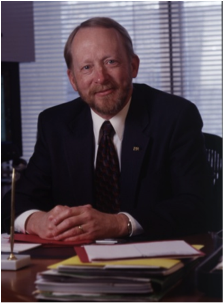 Clifford A. Lynch has been the Director of the Coalition for Networked Information (CNI) since July 1997. CNI, jointly sponsored by the Association of Research Libraries and EDUCAUSE, includes about 200 member organizations concerned with the use of information technology and networked information to enhance scholarship and intellectual productivity. Prior to joining CNI, Lynch spent 18 years at the University of California Office of the President, the last ten as Director of Library Automation. Lynch, who holds a Ph.D. in Computer Science from the University of California, Berkeley, is an adjunct professor at Berkeley's School of Information. He is a past president of the American Society for Information Science and a fellow of the American Association for the Advancement of Science and the National Information Standards Organization. Andrea Mulrenin is the Head of eCulture Group and Senior Researcher at Salzburg Research. She coordinates the SRFG technology application field eCulture. She managed the Austrian Digital Heritage Initiative, which was commissioned by the Austrian Federal Ministry for Education, Science and Culture, and worked as a consultant in the MINERVAPlus - Ministerial Network for Valorising Activities in Digitisation Plus. She coordinated and was a lead researcher in the survey Digital Cultural Heritage Networks for Council of Europe (2003) and the strategic study DigiCULT: Technological Landscapes for Tomorrow's Cultural Economy (2001) for DG Infosoc, Unit: Cultural heritage applications. Andrea Mulrenin also organised the "An Expedition to European Digital Cultural Heritage" Conference of the Austrian Ministry of Education, Science and Culture which was held held in Salzburg 12-22 June 2006 in the framework of Austria's EU Presidency. Andrea Mulrenin holds an M.A. from the University of Maine (U.S.), a diploma from the University of Salzburg (Institute for Communication Science), and an additional degree in Business Administration and Information Management from the University of Applied Science Salzburg. Erich J. Neuhold is currently Professor for Computer Science at the University of Vienna and at Technical University of Darmstadt. 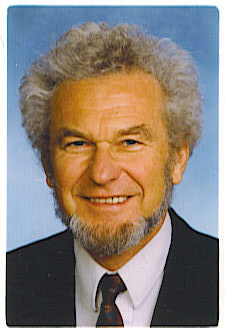 Until April 2005 he was Director of Fraunhofer IPSI. His expertise includes interoperable databases, semi- and unstructured repositories and distributed information stores and services for the internet and its applications. He is or has been on the Steering Committees of many conferences among them ICDE and JCDL and has been involved in many congress, conference and workshop activities and in governmental and corporate bodies. He is a Fellow of IEEE and of the GI, Germany. He has published four books and about 200 papers. Dr A.R.D. Prasad is an Associate Professor at the Documentation Research and Training Centre of the Indian Statistical Institute in Bangalore. His areas of specialisation include Artificial Intelligence Applications in LIS, Natural Language Processing, Digital Libraries and Hypertext, and Multimedia applications. Jela Steinerová is associate professor at the Department of Library and Information Science, Faculty of Philosophy, Comenius University Bratislava, Slovakia. She specialises in human information behaviour and users' aspects of digital libraries. She organized a series of library users' surveys in Slovakia. She took part in the DELOS project and coordinated research in digital libraries in Slovakia in 2003-2004. She teaches especially subjects of Information Seeking and Information Behaviour including conceptual foundation of digital libraries. She organized international conferences, including Information Behaviour in Digital Libraries in 2003. She was head of several research projects, namely Interaction of Man and Information Environment and Information Use and Information Behaviour in Education and Science. She is the author of three monographs, lectured at many national and international conferences (e.g. Boras, Dubrovnik, Trondheim, Tallinn, Warsaw, Zurich, Sofia, Cologne, Vilnius, Prague) and won a number of international grants and study stays (Oxford, Brussels, Washington), published her works abroad. She has been a member of several national and international editorial boards and conference committees (e.g. ECDL-European Conference on Digital Libraries, Information Research). She has been engaged in a number of international projects, e.g. UNESCO project on information literacy in CEE countries (Ljubljana), EUCLID international LIS curriculum (Copenhagen), ICIMSS (Torun, Poland). 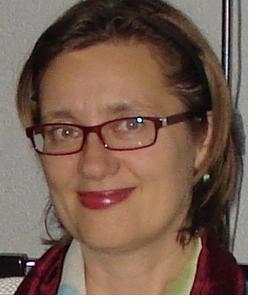 Recently she lectured at conferences on Human Computer Interaction (Prague 2008) and Information Seeking in Context (ISIC, Vilnius 2008). She has been involved with research on relevance assessment of digital libraries and Information ecology of digital libraries. Dr. Shigeo Sugimoto received a Ph.D, ME and BE degrees from Kyoto University in information science in 1985, 1979 and 1977, respectively. He joined University of Library and Information Science in 1983 and has been working as a faculty member at ULIS and GSLIMS since then. His research interest includes metadata technologies for digital libraries and Internet, digital archives, metadata schema interoperability and reuse, metadata for accessibility. He is a member of the board of trustees and the advisory board of Dublin Core Metadata Initiative. He has served as committee member for major digital library conferences in North America (JCDL), Europe (ECDL) and Asia (ICADL). Herbert Van de Sompel graduated in Mathematics and Computer Science at Ghent University, and in 2000, obtained a Ph.D. there. For many years, he was Head of Library Automation at Ghent University. After having left Ghent in 2000, he has been Visiting Professor in Computer Science at Cornell University, and Director of e-Strategy and Programmes at the British Library. Currently, he is the team leader of the Digital Library Research and Prototyping Team at the Research Library of the Los Alamos National Laboratory. The Team does research regarding various aspects of scholarly communication in the digital age, including information infrastructure, interoperability, digital preservation and indicators for the assessment of the quality of units of scholarly communication. Herbert has played a major role in creating the Open Archives Initiative - Protocol for Metadata Harvesting (OAI-PMH), Open Archives Initiative - Object Re-Use and Exchange (OAI-ORE), the OpenURL Framework for Context-Sensitive Services, the SFX linking server, and the info URI. Jens Vigen is the Head Librarian of the European Organization for Nuclear Research (CERN), based in Geneva, Switzerland. Over the ten last years he has been deeply involved in designing digital library services. In parallel to developing new services for members of the particle physics community, he has a particular interest for redesigning business models in the digital era for purchasing of library materials. Recently his activities have been strongly focused on establishing models for open access journal publishing. Before joining CERN, Jens held a position at the library of the Norwegian University of Science and Technology. In addition to his library qualifications he has a master degree in civil engineering; geodesy and photogrammetry. Andrew Wilson is the Director of Information Policy & Strategic Projects at National Archives of Australia. He is involved in the development of strategic relationships with Australian government agencies working in the informaiton management domain, advocacy of the NAA approach to digital records and developing information policy, standards and guidance for Australian government agencies. He has worked as the Assistant Director at the Digital Preservation Strategic Development and Preservation Project at National Archives of Australia, Preservation Services as well as Project Manager at Arts & Humanities Data Service (UK). Through the Liaison Group, DL.org is enlarging community participation in DL.org activities, disseminating outcomes and fostering constructive feedback, which will be used to enhance the DELOS DL Reference Model and the DL Technology and Methodology Cookbook.